Whether we like it or not, today's tax laws are so complicated that filing a relatively simple return can be time consuming and confusing. It is just too easy to overlook deductions and credits to which you are entitled. Even if you use a computer software program there's no substitute for the assistance of an experienced accountant. Your tax return will be prepared by an experienced tax professional and then rechecked by our computer software identifying potential problems the IRS may look at more closely and reviewing the math to limit IRS contac ts. If you choose your tax return can be filed electronically so you will get a refund back quicker. We will show you how to adjust your payroll withholding to get more money back each week. 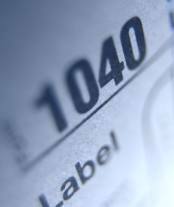 Why give the IRS an interest free loan till the time you file your return. Books in disarray: Not a Problem! If you own a small business and have not kept your books in order, don't worry. We can help you. We'll prepare your books for the year, prepare a full Schedule C, as well as prepare your personal income tax return. Then we'll guide you how to maintain your books in tip-top shape for the next year. Planning is the key to successfully and legally reducing your tax liability. We meet with our clients in the month of December to discuss their upcoming taxes and do the tax planning by recommending tax saving strategies to maximize after–tax income. We make it a priority to enhance our knowledge of the current tax law, complex tax code, and new tax regulations by attending tax seminars. We make sure businesses and individuals pay the lowest amount of taxes allowable by law because we continually look for ways to minimize their taxes throughout the year, not just at the end of the year.